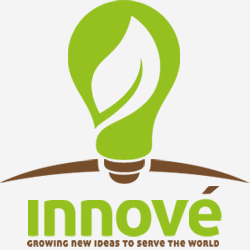 Innove, an initiative of Colonial Church, is hosting Innove Immersion Day on Saturday, September 28th. Open to all young social entrepreneurs, this free one-day event offers coaching, learning, mentoring, networking, encouragement, and more. An additional hour of in-depth consultation from an Innove coach will be made available to the 25 registrants requesting the service - register for bonus time today! Join us for a day to gain practical skills, build networks and foster relationships to help develop your idea that serves the common good. Receive guidance at any stage in the process, whether you are just developing your idea or at the point of launch, we have a day planned that will help you take your plan to the next level. With 30+ years of corporate experience and a Ph.D. from the University of Minnesota in Training and Development, Sue Stanek has made it her personal mission to drive business results through leadership development of people. Through her many speaking engagements, Sue is described by others as positive, practical, inspiring, humorous, and relevant. She is at her best with leaders who want breakthrough inspiration and practical steps to develop their personal leadership. Ryan, Venture Expedition’s co­founder, oversees finances, development, staff, and board. Ryan earned his MBA from University of Saint Thomas’s Schultz School of Entrepreneurship before founding two companies, Fly for Good and International Volunteer Card, which serve customers such as Harvard University, Invisible Children, and Youth With A Mission. He has presented and shared at colleges and churches internationally and has visited many places Venture works (such as Tibet, Burma, Kenya, and Zimbabwe) to spread the tangible love of Jesus.